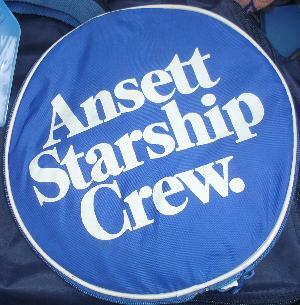 This bag from the now-defunct Ansett Airlines was available to passengers during the later years, as part of the "starship" theme and aimed at the younger passenger. This Nylon bag is about 25cm round, and opens out to a cylindrical shape about 46cm long. Both ends have the same logo. 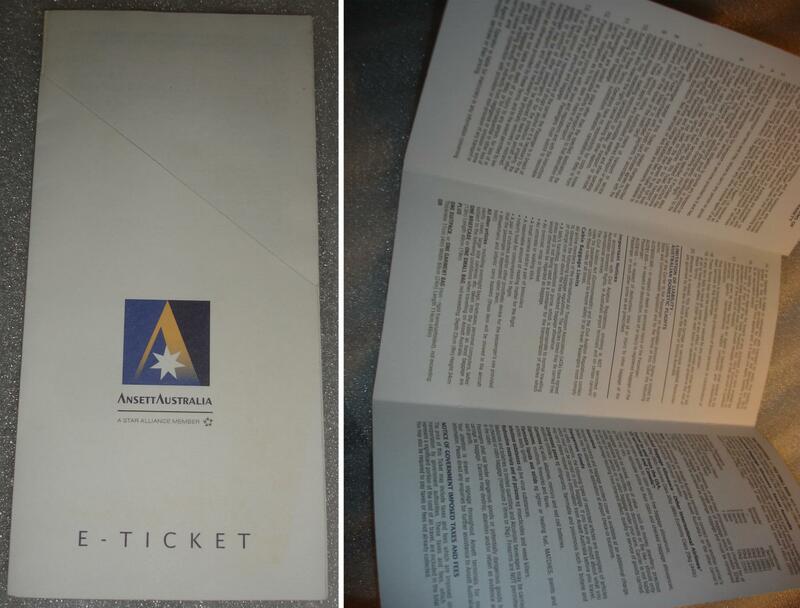 Also attached is a Starship Crew pvc luggage tag with space to insert your details. CONDITION: great - appears to be unused.